The Pleasant Hearth Carlisle is a fine fireplace door, with a clean midnight black finish, it will suit any modern fireplace. This fireplace is one of many fireplace doors that are manufactured proudly in America. 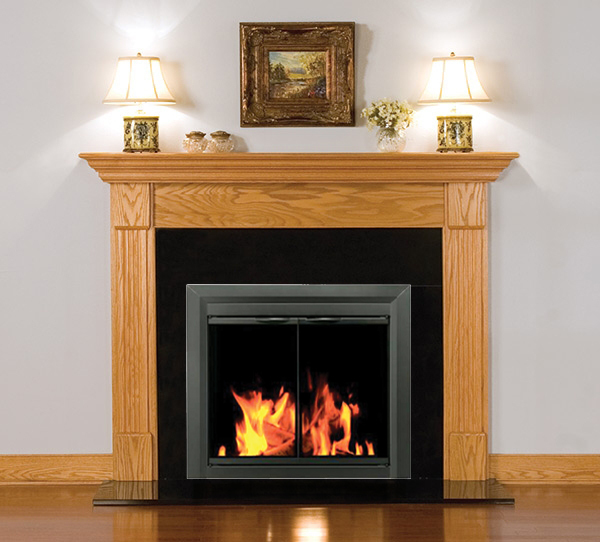 Pleasant Hearth offers you a cheap and easy to install solution without sacrificing on style and elegance. Midnight Black – This clean fresh finish looks sensational in all modern living rooms. Comes in 3 sizes that suit the majority of fireplaces. The black midnight finish gives the fireplace a great look. We really like clean lines Pleasant and Hearth have made with this fireplace door, giving it a modern look that will surely last. It’s perfect for those recently renovated living rooms that have an aging fireplace. 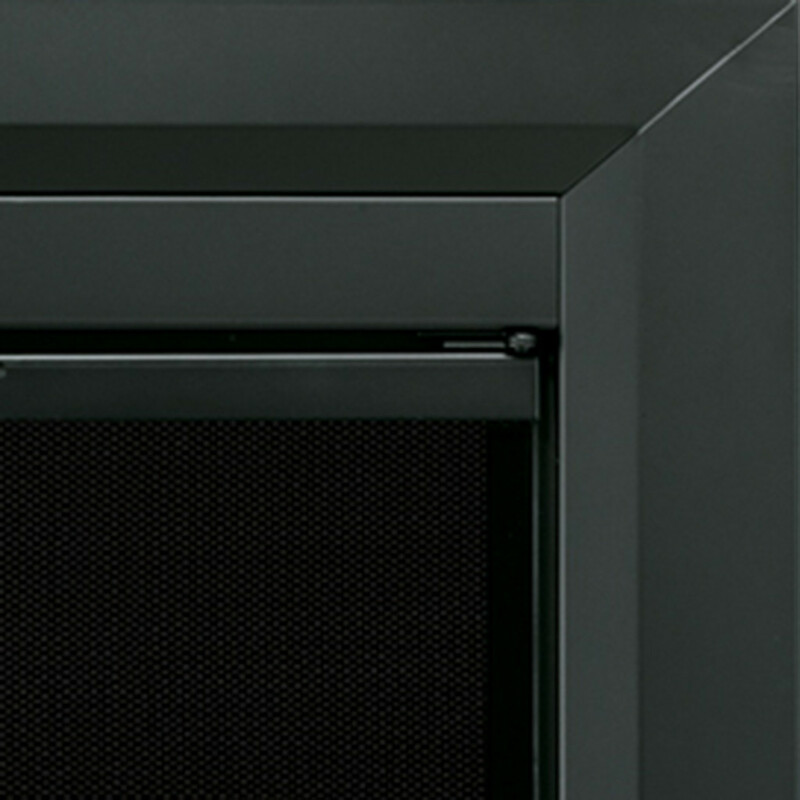 The dark tinted glass and mesh will hide that unattractive soot and smoke stains that exist in all fireplaces. There are many happy customers from Amazon that love the fresh look it brings to their fireplaces. The Carlisle is built, like all other pleasant hearth fireplace doors, in a factory in America that prides itself on their build and quality. Constructed from steel with the powder-coated finish this fireplace door is built to last. The one-piece construction mounts to the surface of the fireplace door, it reduces up to 90% of heat loss when the fireplace is not in use. 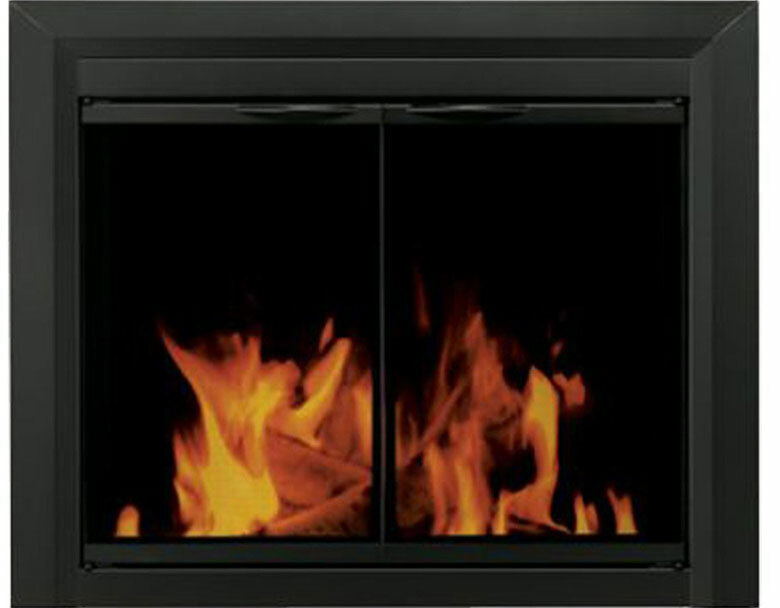 The comes pre-packaged with insulation to fit behind the fireplace door, easy grip handles and hidden damper controls. Pleasant Hearth fireplace doors are probably one of the easiest fireplace doors to install. It requires minimal hardware, which almost all households will already have and has a simple to follow instruction manual. Many Amazon customers have been surprised by how easy it was to install, taking them as little as 45 minutes to install. Considering you could pay a fortune to get a fireplace door installed by a professional, it’s definitely the best solution out there for existing masonry fireplaces. It still looks beautiful and works as it should. I’m so glad I got this and would recommend it to anyone. The doors are absolutely beautiful and have received several compliments. like we’ve said earlier, it’s stylish and will be an excellent addition to any fireplace. Add to the style, it also reduces heat loss during winter and cool air loss during the summertime, saving you the $$$ from the bills you pay.